This post-championship game Monday in the NFL is all about rehashing the events that led to both the Los Angeles Rams and New England Patriots advancing to Super Bowl LIII. Therefore, it is not too surprising to see new footage of the games hit social media. 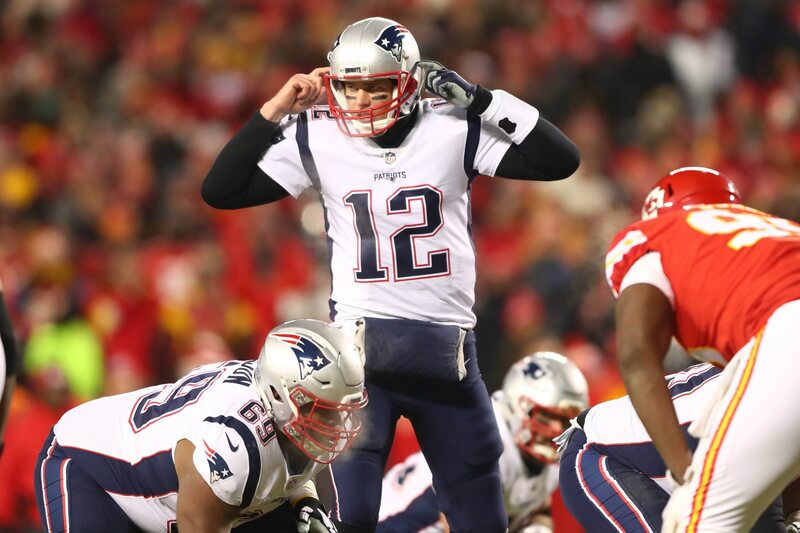 That would include this footage captured by KMBC’s photographer, Turner Twyman, of somebody pointing a green laser light at Tom Brady’s face during the AFC Championship Game at Arrowhead. According to William Joy of KMBC, the laser action took place in between the muffed play call involving Julian Edelman on a punt return and safety Daniel Sorensen’s interception. It was surely an effort to throw Brady off of his game. Had the person with the laser been caught, he or she would have been ejected from the game. The Patriots, Chiefs and NFL were not aware of the incident. This laser incident just adds to all of the many other wonky things that went down during both championship games.